For those of you who are interested, we’re having a year-end sale for our drawing and oil painting video lessons (https://www.yimmaukun.com/product-cat…/5-step-drawing-system/) (https://www.yimmaukun.com/produc…/4-step-oil-painting-system/). 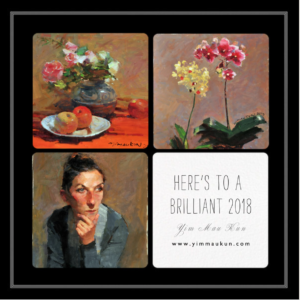 Please enter code “happy2018” when checking out for 25% off. The code is valid until Jan. 7, 2018. Happy drawing and painting!